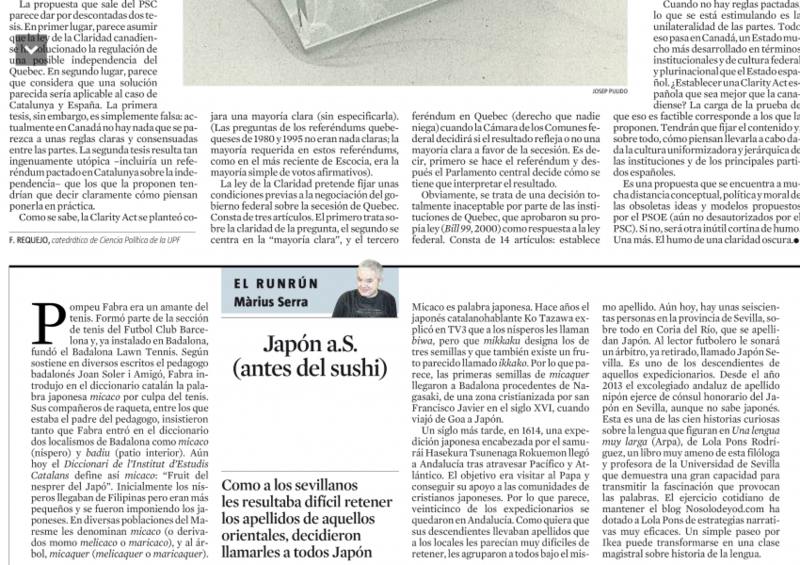 We’d like to focus here on the fantastic article penned by Marius Serra in La Vanguardia which looks at the Japanese influence felt in Barcelona and its surroundings. Marius also explains the peculiar origin of the name Micaco, where its origin goes back to the 16th century when the first seeds of Nispero arrived in Badalona from Nagasaki, a Christianized area of Japan, by San Francisco Javier. Fast-forward one century, to the end of 1614, and we get to the Keicho expedition that left from Sendai – its leader the famous Samurai Hasekura Tsunenaga Rokuemon. Its mission; to establish trading relations between Spain and Japan.